X-Men: Apocalypse is a 2016 American superhero film based on the fictional X-Men characters that appear in Marvel Comics. It is the ninth installment in the X-Men film series and is a sequel to 2014’s X-Men: Days of Future Past. The font used for the film title in the poster is Bank Gothic. The “X-MAN” part might look slightly different from Bank Gothic, but it was probably based on it, with elongated the middle arm of the “E”, and very tiny serifs added to the terminals of letters. 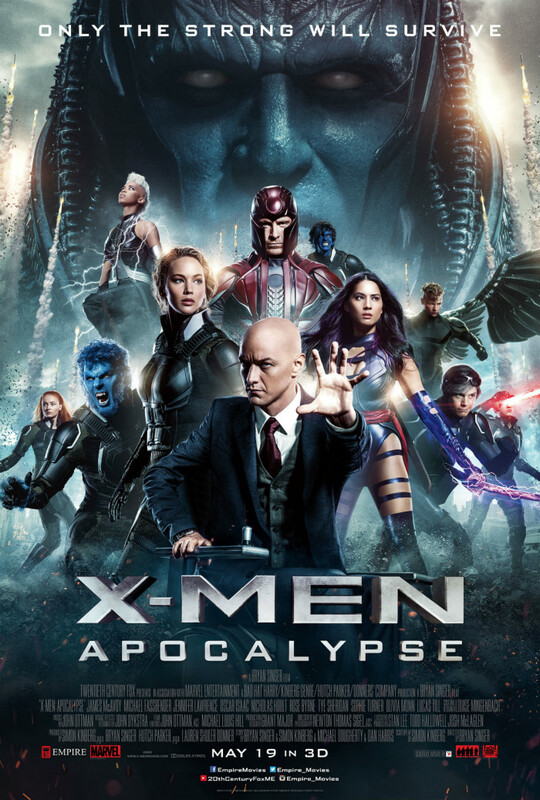 In addition to X-Men Apocalypse, Bank Gothic typeface is also used in the following logos, movie posters or album covers etc., including: Agents of S.H.I.E.L.D., Eagle Eye, Solid State, Square Enix, America’s Army, Monster, Lockout, Columbia Pictures, The Day After Tomorrow, Nintendo 3DS, LXG, ER, Section.80, American Sniper, Knowing.